Do you remember having to read Great Expectations in school? How you muddled through it, having already decided that you wouldn’t like it? Or maybe that was just me. Either way, I wish this book had existed then; to read it after reading Great Expectations would have made me appreciate the original more (I suggest going into Great Expectations with an open mind, unlike me. When I reread it later in life, I ended up really liking it). 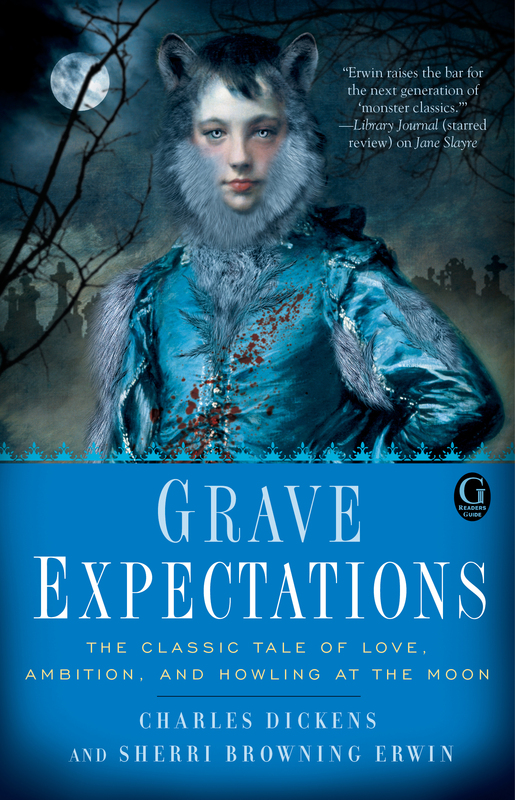 This is a supernatural parody of Great Expectations, written around the same time as Pride and Prejudice And Zombies. One clever thing about this book is that, while there are werewolves, zombies, and vampires aplenty, you can plainly see the spirit of Great Expectations underneath. Sherri Browning Erwin somehow managed a fun twist on a classic that keeps the story fresh and acts almost as a guide through some of the slower-moving parts of the original book. I actually enjoyed this much more than Pride and Prejudice and Zombies, possibly because I like Great Expectations, while not being a fan of Pride and Prejudice. I think that reading Great Expectations for the first time, followed by Grave Expectations would make for a cool compare and contrast. In fact, I might have my oldest- whom I homeschool- do that next year. It’s not the most amazing reworking of a classic that I’ve ever read, but it is a solid, fun book. It’s also a quick read, one that’s perfect when you only have time to read in bits and spurts. This looks fun, I didn’t read the classic in school, but read it myself years ago. I recently finished a non-fic book about convicts sent to the British colonies and it had some references to Great Expectations and a convict who most likley inspired Fagin from Oliver Twist. That sounds really interesting! What was the name of the book?